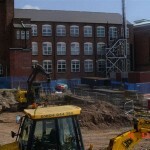 The project comprises the construction of complete new build of the learning resource centre. 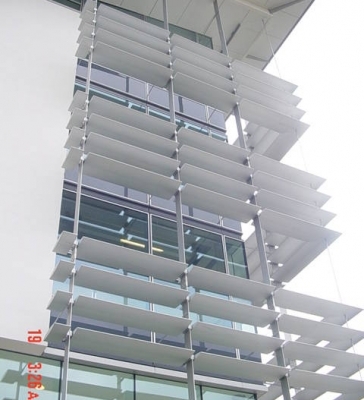 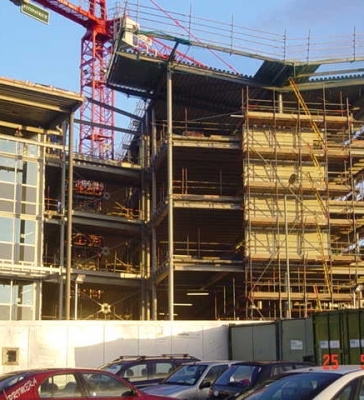 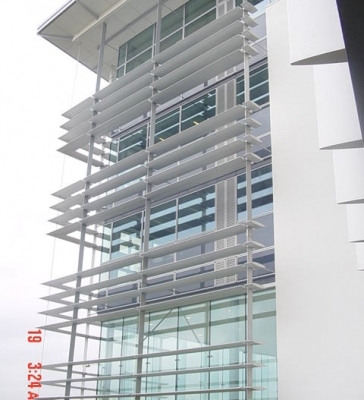 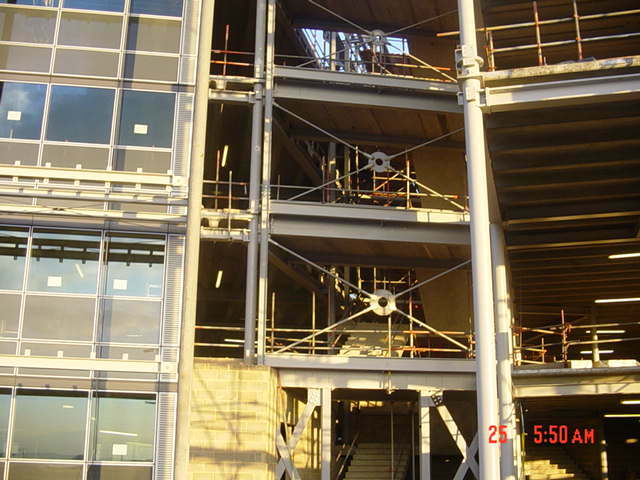 This was the Design and Build Project of the new 3 storey X shaped steel frame building. 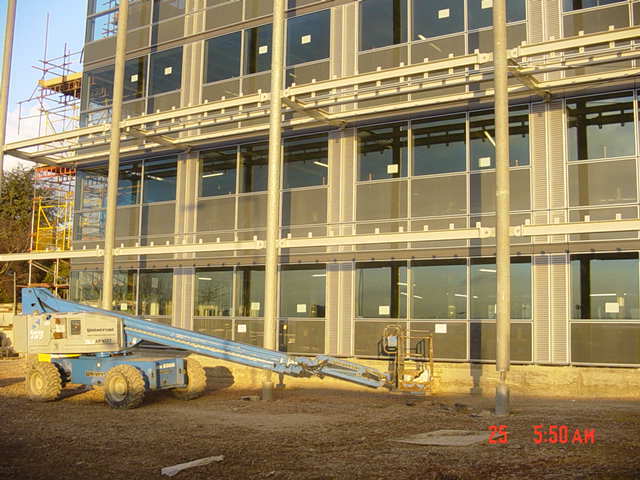 The construction consisted of CFA piling, RC pile caps and ground beams and ground bearing reinforced concrete slab. 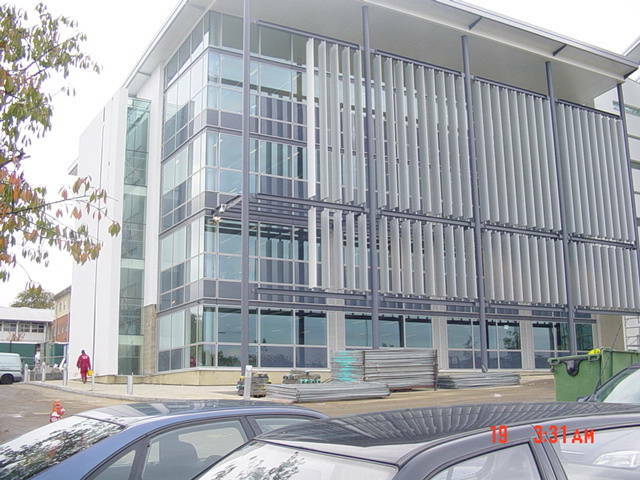 Also Drainage (New Drainage, Upgrading Existing Drain, and Rainy water harvesting system and Petrol tank), curtain walling, Sto Render system, Glass glazing, double T pre-cast concrete planks and butterfly roof design. 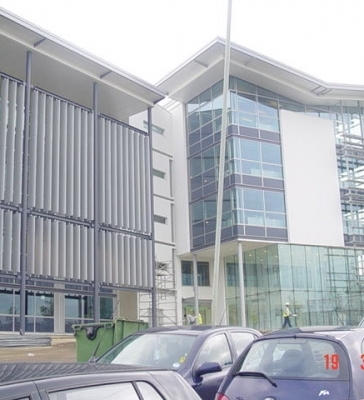 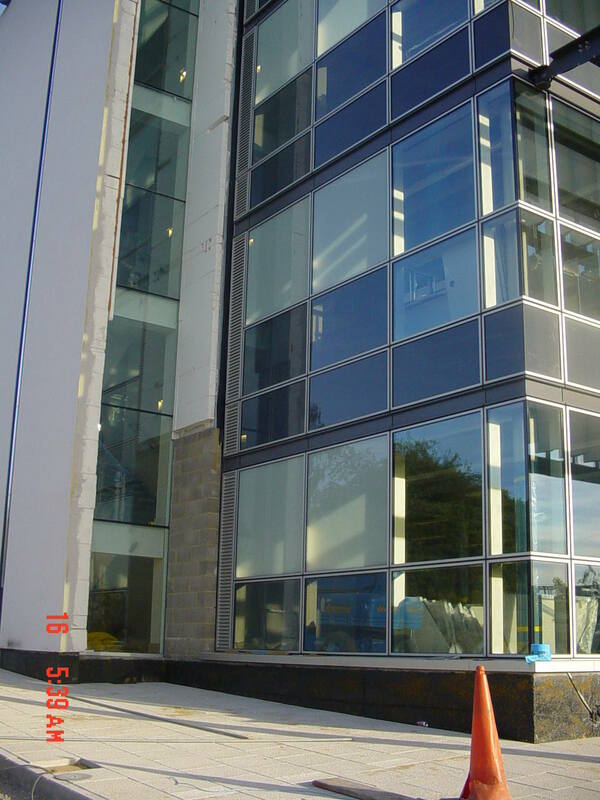 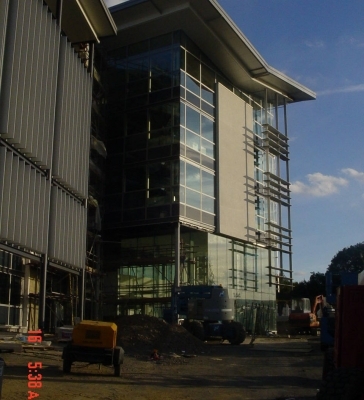 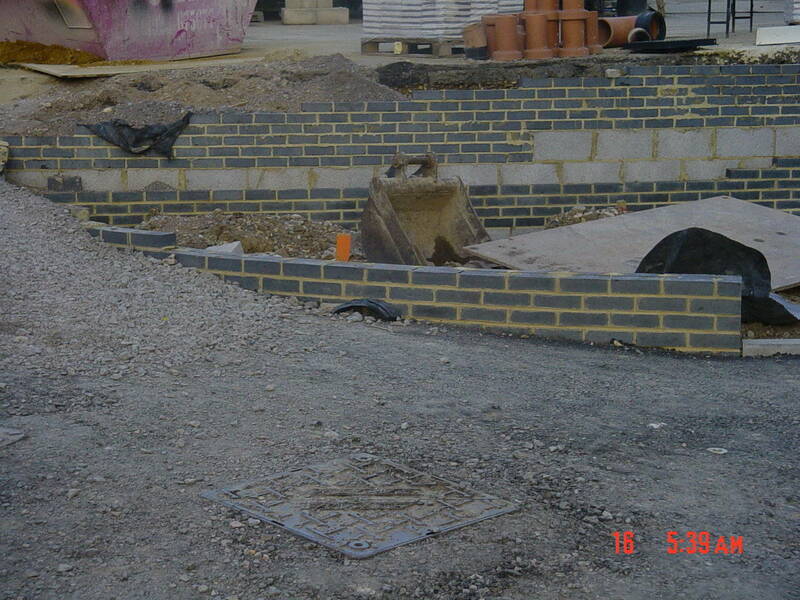 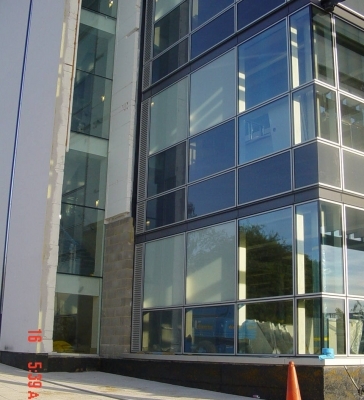 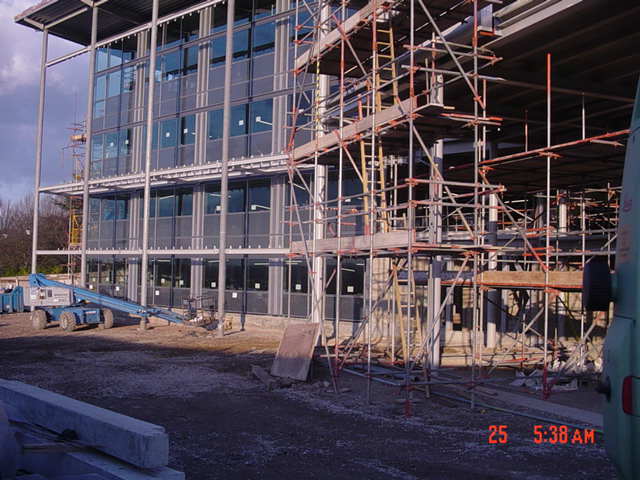 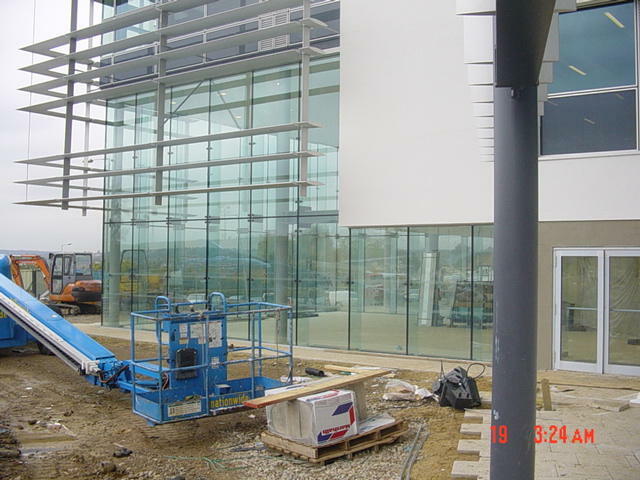 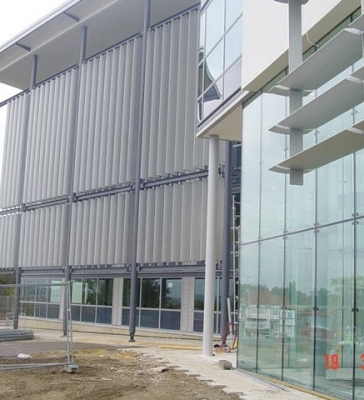 The external works comprised of the construction of new access road, car parks, RC retaining walls, hard landscaped paved areas and landscape across the perimeter of the building. 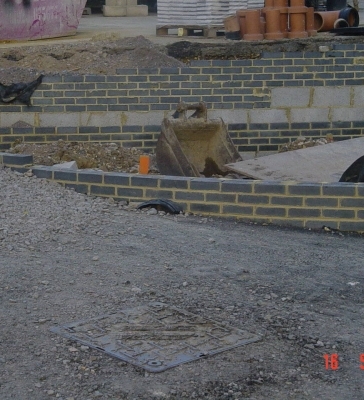 The green credential comprises the rainy water harvesting system, which store rainy water and then distribute the stored rainy water into the building for use in the toilets system replacing metered water. 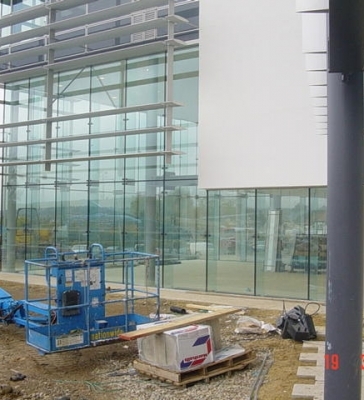 The rainwater is distributed via standard control system which features a high specification pump and level control installed within the harvest tank. 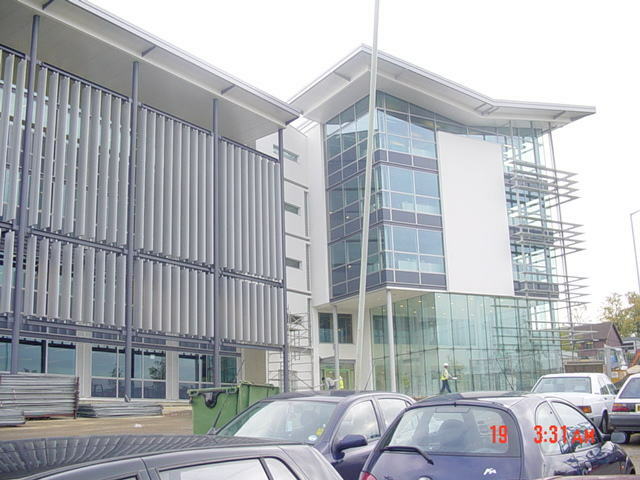 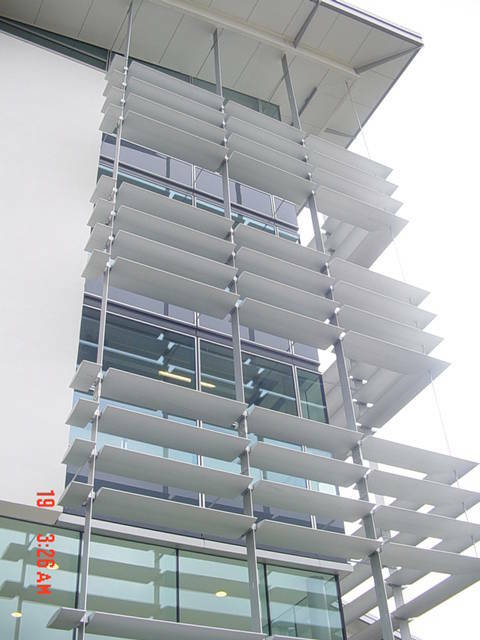 Also the building was designed and orientated to make best use of the sun’s track over the sky. 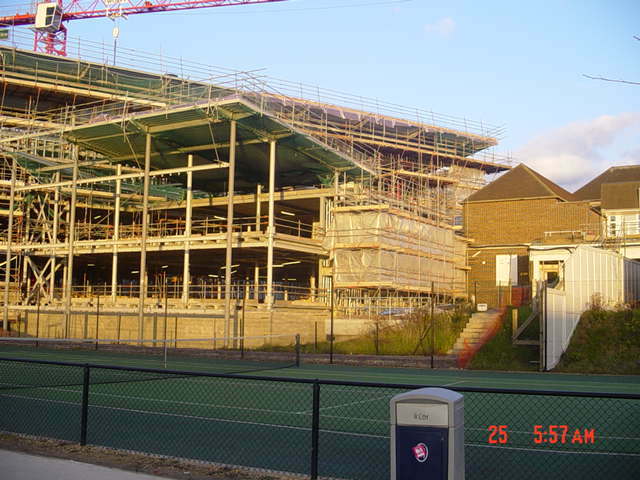 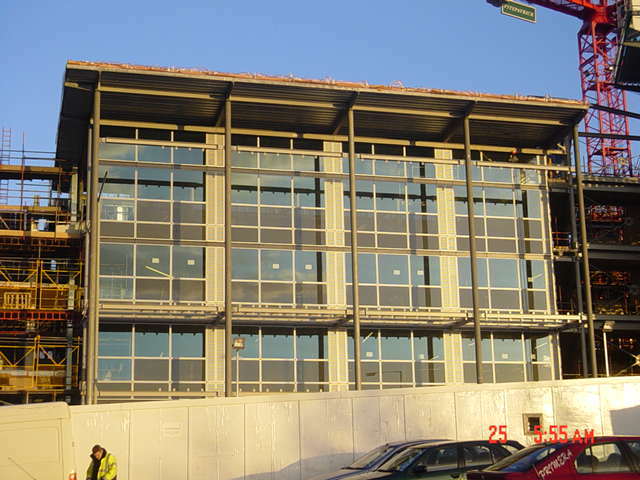 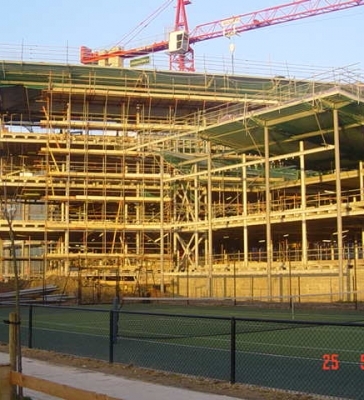 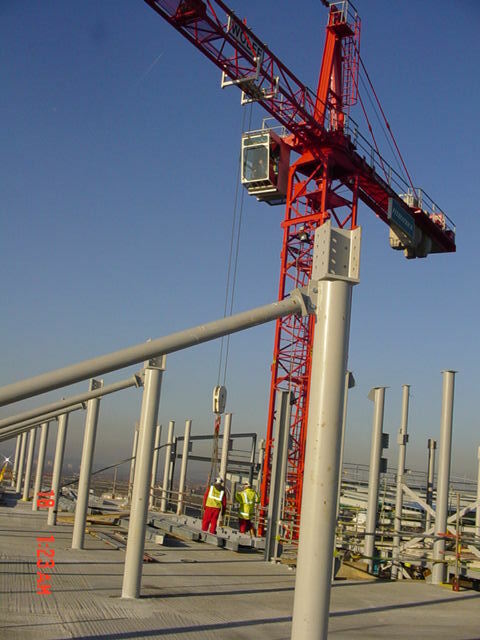 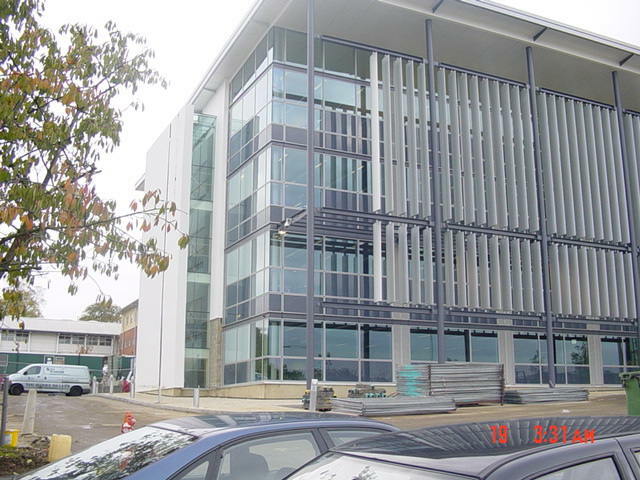 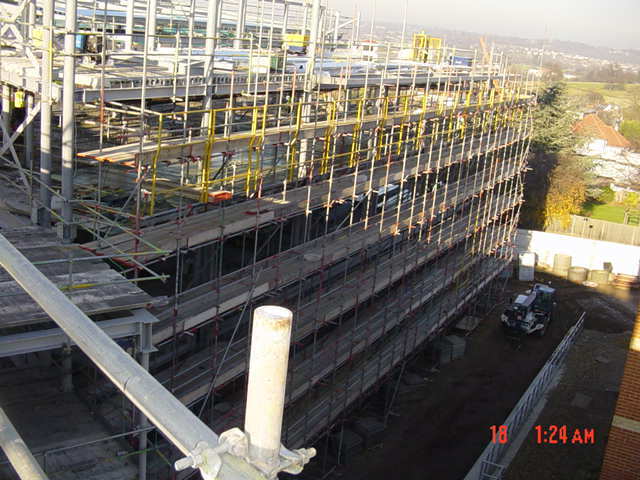 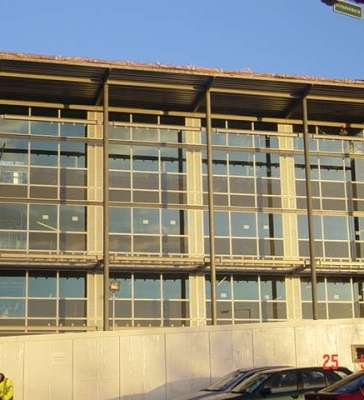 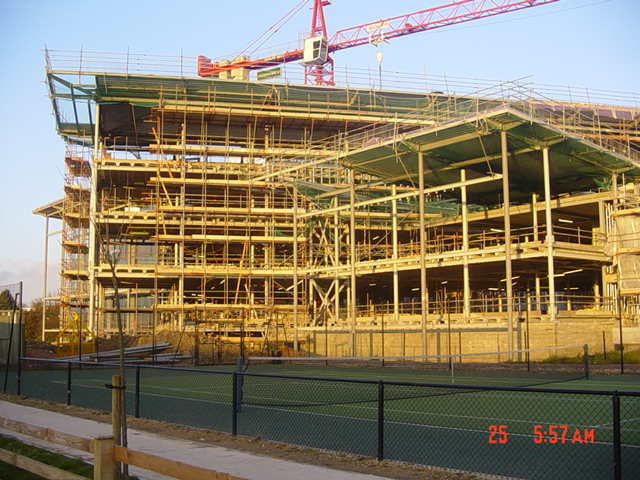 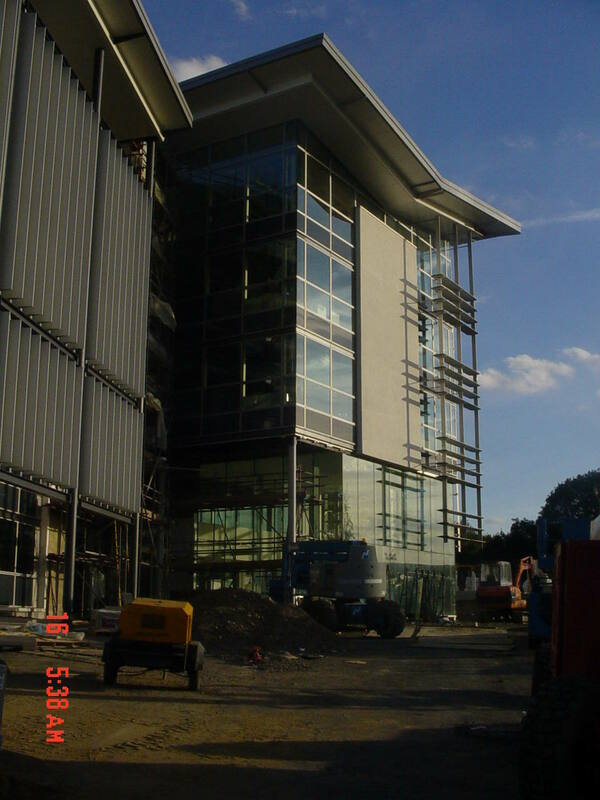 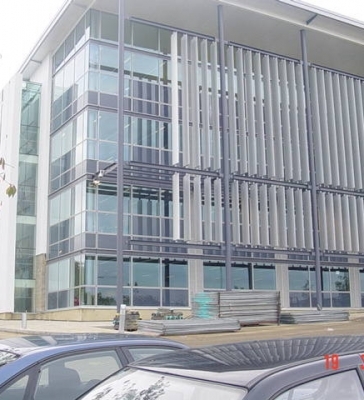 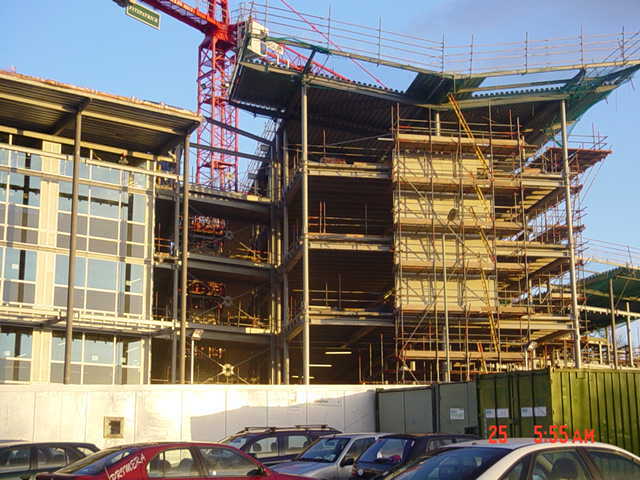 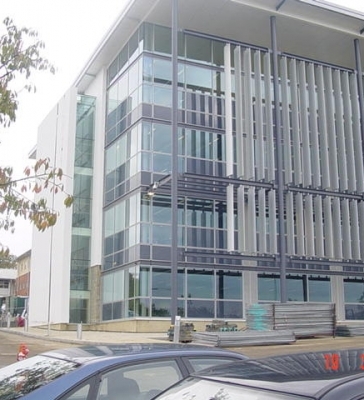 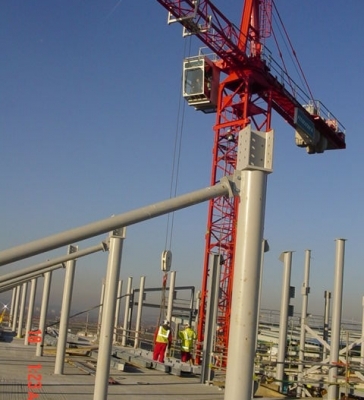 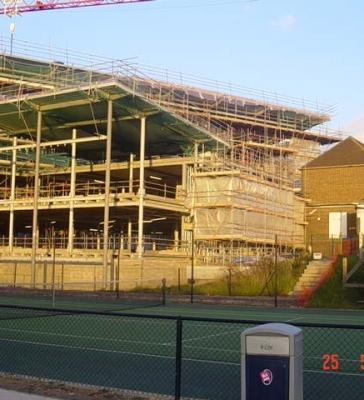 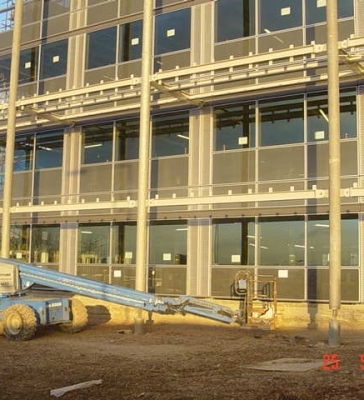 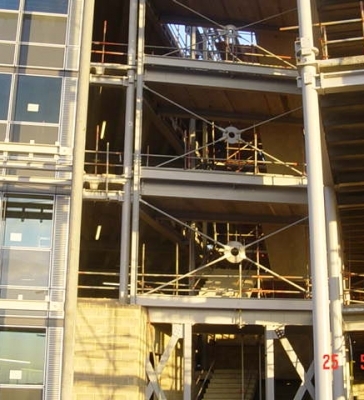 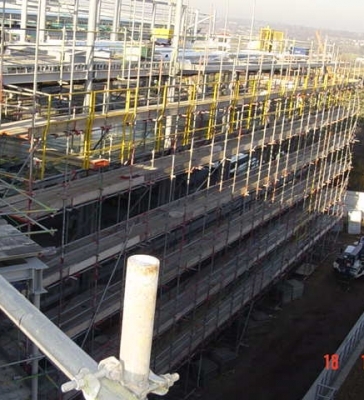 The building was conceived as a series of steel column and beams set at 9000mm centres, set on top of reinforced concrete pad foundation on a cfa piles, floors were double T pre cast concrete planks topped up with self levelling concrete topping. 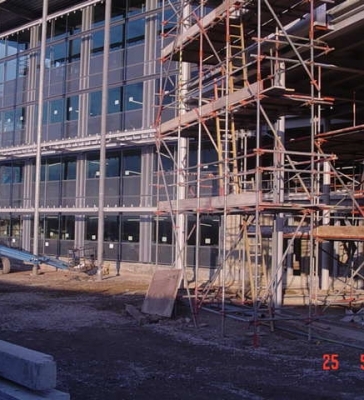 Internal partitions were made out of Metsec system, and some core areas were high strength blockwork. 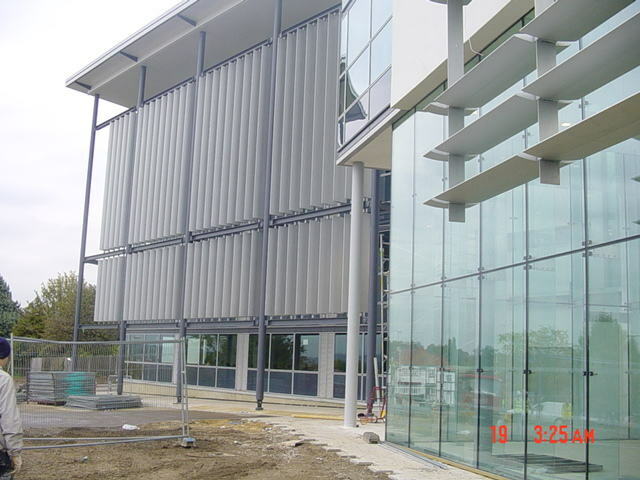 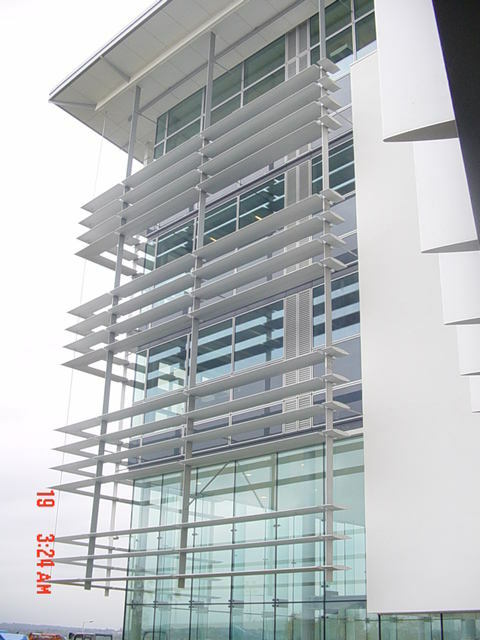 The resulting building frame was then curtained walled, glass glazed, and sto rendered to achieve its crisp image.